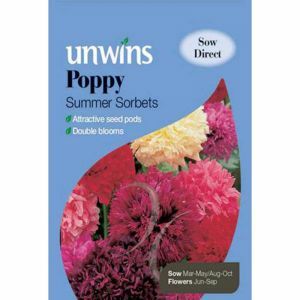 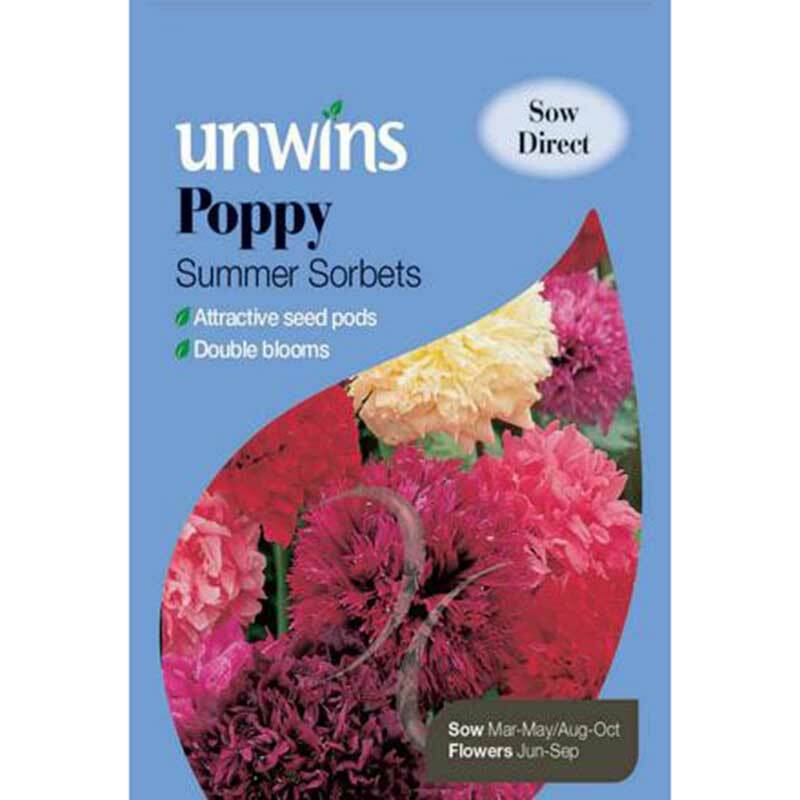 Packet of approx 1000 seeds, for sowing March - May or August - October. 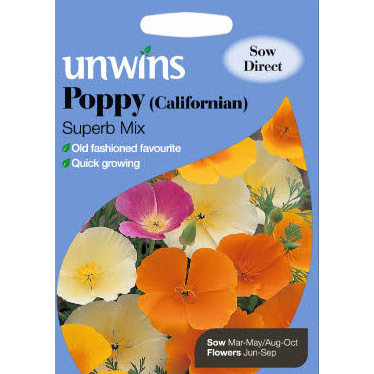 Papaver rhoeas (hardy annual) - developed by a nineteenth century cleric from the wild poppy and named after his village, this is a lovely mix of soft and strong colours. 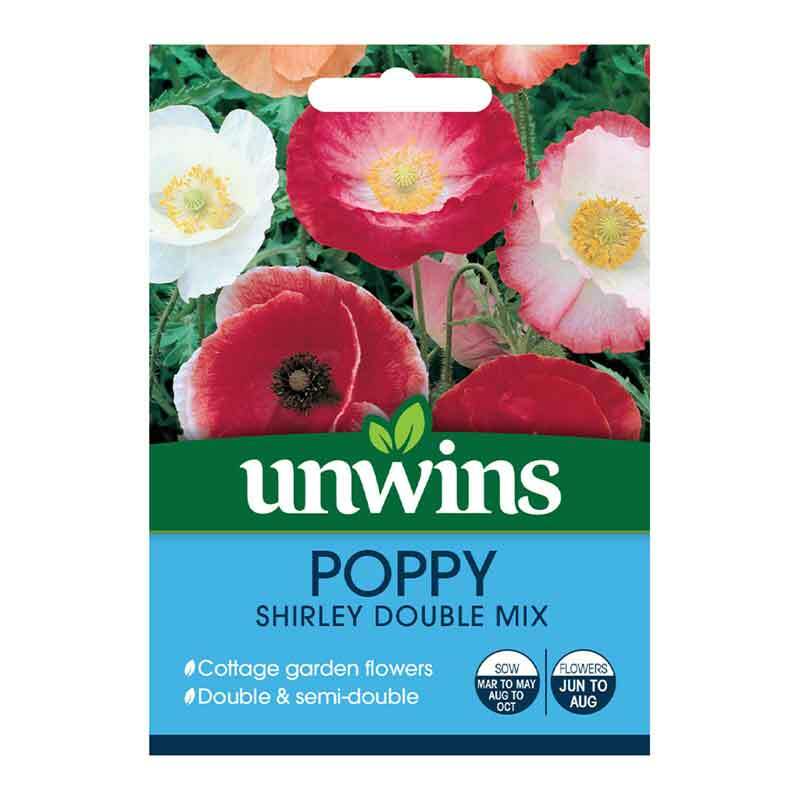 Shirley poppies look especially good in cottage gardens and other informal settings.